The Milton Keynes office team is acting as lead consultant and architect for two high grade care home schemes, both with pre-applications positively received. The schemes are currently being marketed for client-developer The Mercian Group, to obtain operator interest before submission for planning and include a 60 one-bed apartment care home over two floors proposed for Moreton in Marsh in the Cotswolds, an Area of Outstanding Natural Beauty. 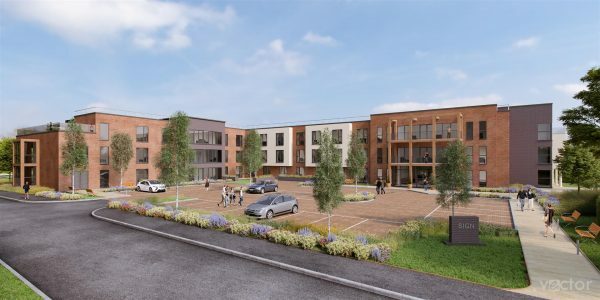 A mixed care scheme is also proposed for a gateway site on the outskirts of Didcot, Oxfordshire comprising 85 one-bed room apartments over three floors and five individual care dwellings set in an extensively landscaped community. Both schemes include on-site dining area, cinema, hair salon, bar and café.